Order your seats online and prepare to one of the best performance by Steve Aoki. Our website proposes to you cheap tickets for all music events. Whether he's mixing music, running a record company or collaborating with some of the hottest hip-hop artists on the planet, Steve Aoki has already done it all, and he's not even 40 yet! The highest-grossing North American DJ in 2012, Aoki has time to produce music and is still able to devote himself to operating a charity organization that funds humanitarian causes. 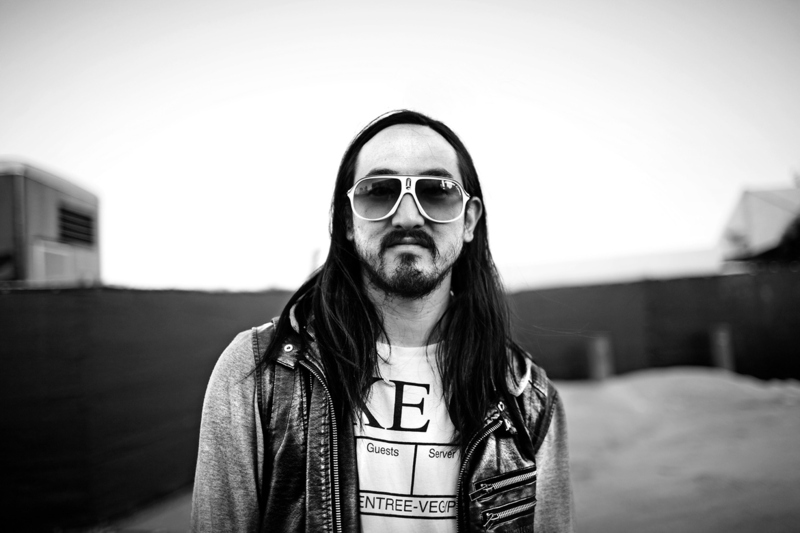 The news that Steve Aoki has launched a tour is definitely music to his fans' ears! Of course, a star that shines as brightly as Steve Aoki tends to sell out concert tickets really quickly. Where do fans go when they need Steve Aoki tickets? They buy them from Concertics, of course! One of the top ticket resale marketplaces on the internet, Concertics offers tickets to Steve Aoki shows at the best prices! When Steve Aoki plans a tour, he goes all out. In total, he has 55 dates in 2017 all over North America and Europe, which means no matter where you live, there's a good chance he'll be playing on a stage near you! How do you buy Steve Aoki tickets for his 2017 tour? It's simply! Just use the Concertics search tool to look up Steve Aoki's upcoming concerts. Once you find a date and city that best fits your needs, click on the “tickets” box to select the tickets that fall within your price range. You can also choose tickets based on your seating preferences. Once you make a secured payments, your Steve Aoki tickets immediately become available to download. There is no waiting for the tickets to arrive by mail! So what would you rather do? Stand in a long line and try to buy tickets at the box office? Or buy tickets from the comforts of your living room with the help off Concertics? You know the answer! If the tickets you are looking for are not yet available, don't worry. When you sign up for free SMS and email alerts from Concertics, you will be among the first to find out when the tickets are available for sale! Steve Aoki is unquestionably one of the best DJs in the world, which means you do not want to pass up the chance to catch the talented artist live on stage! It is certain to be a concert of the lifetime. We are so confident that you will enjoy the experience of buying tickets through Concertics that you will come back when seeking tickets to all of your favorite performers. So buy your tickets from Concertics today! 1. Do you already know the Steve Aoki upcoming concerts & shows 2017 ? Are you already interested in a particular concert? Now, you can find a matchup that will satisfy you using the date or opponent filters. 2. Hit "Tickets" button to look through all the Steve Aoki tickets available, and the interactive seating chart of the concert location. Filter the tickets by price and quantity – it will save your time when choosing the perfect match in the proper price range. The "eTickets Only" filter reveals all the tickets to the concert that are delivered to customers via Internet. You can check the event venue places available in every section on the interactive seating map and find the most convenient of them for you. Make sure the ticket meets all your requirements and use “Go” button to go to checkout page. 3. On this page carefully check the chosen Steve Aoki tickets details. Scrutinize the ticket notes and the information on delivery. After you ensure that there are no mistakes, populate a checkout form fields, and get the Steve Aoki Tickets you want! Enjoy them! Those who don’t know Steve Aoki – which we highly doubt such people even exist – are definitely missing out on some good quality electronic, house music. Because Steve Aoki isn’t simply a name on a compact disk or iTunes playlist – it is a milestone in the development of modern sound creation. Born in Miami, Steve Aoki probably didn’t think at that time what kind of success the legendary Pillowface and His Airplane Chronicles album will have. But talent is a unique gift and just a couple of years later a new creation called Wonderland appears and is being absolutely loved by the admirers from all over the world. Soon after the official release of Wonderland a massive crowd turned out at a SXSW 2007, day 2: Flamingo Cantina (2007-03-14) concert which was a truly noticeable even in the electronic, house music history. The next Coachella Valley Music and Arts Festival 2007, Day 2: Sahara Tent (2007-04-28) featured hits from albums Pillowface and His Airplane Chronicles, Wonderland and even a newly released Neon Future I. Steve Aoki’s popularity continued to grow with every album released and concert given. We’ve reserved some seats for you to experience it live – check it out and enjoy the beat!